Mr. Frank, our wonderful custodian, is retiring at the end of the school year after 14 years of service. On April 30, the mayor of Alameda, Trish Spencer, visited Bay Farm School to declare the day “Mr. Frank Day” in honor of his retirement. Frank Munoz has been a spectacular custodian in several different schools in the district for awhile now. From setting up lunch tables to arranging logistics for school dances and helping with the recycling, Mr. Frank has been doing it all. Mr. Frank is a hard worker and a really kind person. He always says “hello” and “good morning” to students as they arrive. Mrs. Joni Reynolds, a personal friend of Mr. Frank and a 6th grade teacher at Bay Farm School, says that he’s “easy to work with and has a strong sense of pride in Bay Farm School.” Which, in her opinion, is why he did such an incredibly good job of taking care of our school. 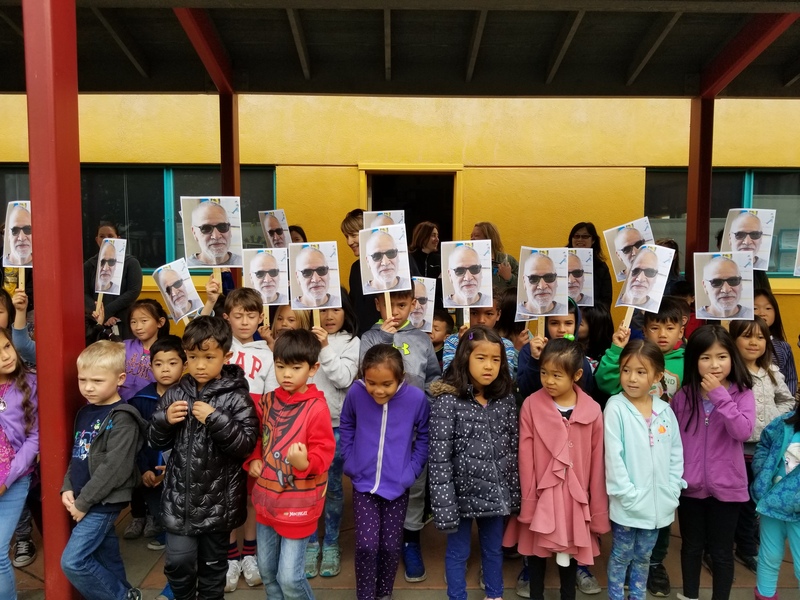 On April 30, Bay Farm School held a collective goodbye ceremony for Mr. Frank at morning assembly. 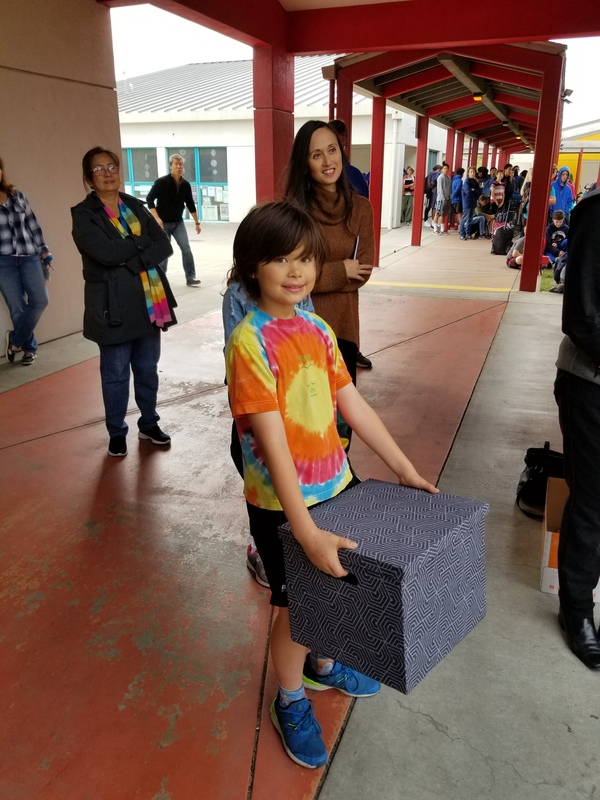 Every class in the school decided to make or buy a going away gift for him. The 6th grade made a book for Mr. Frank that included handwritten letters from each student describing what they loved about him, thank yous and ideas of what he could do in retirement. Other grades gifted the baseball lover fan gear and tickets to A’s games. Then the whole school gathered for a photograph with our beloved custodian. 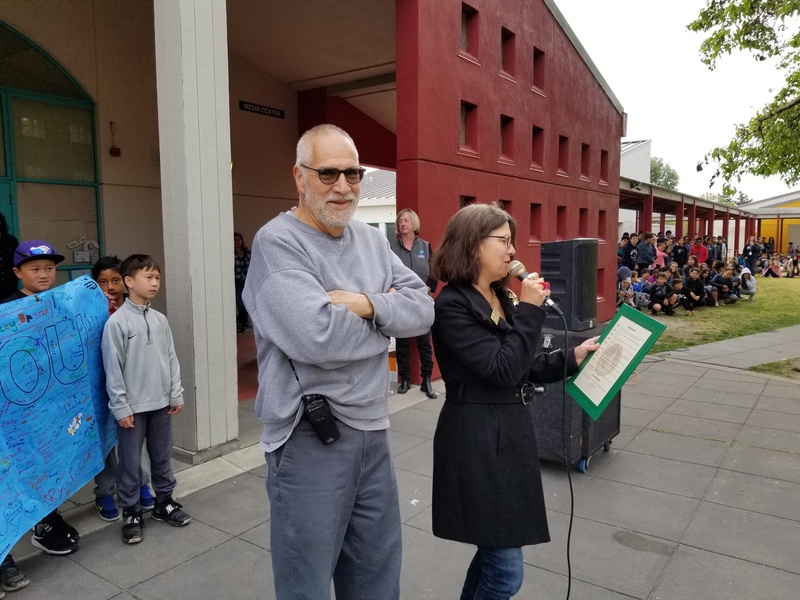 Mr. Frank was a wonderful custodian and he now gets to enjoy a much deserved retirement.